Drunk driving car accidents in Massachusetts are expected to be a common occurrence through the remainder of the year. Each year, the holiday season sees more car accidents than any other time of the year. To combat drunk drivers and to prevent these accidents, the Watertown police recently made an announcement of their increased patrolling efforts from December 17th through the New Year, according to the Boston Globe. Our Massachusetts drunk driving car accident lawyers understand that the Watertown Police Department’s efforts to track down drunk drivers through the holidays is a part of the national Drive Sober or Get Pulled Over campaign. Police departments throughout the country have received federal grant money from the Security’s Highway Safety Division and the Executive Office of Public Safety to help pay for these enforcement efforts. Including the Watertown Police Department, there will be nearly 200 local law enforcement agencies joining the campaign alongside the Massachusetts State Police. Deveau would like to remind drivers that there’s no holiday cheer in jail and every year too many drivers spend their holidays behind bars for drinking and driving. In 2010, there were nearly 60 people in the state of Massachusetts who were killed in drunk driving accidents. 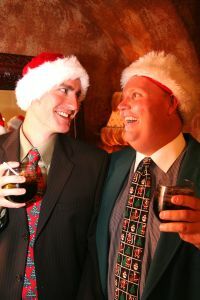 -Plan a safe way to get home before heading out to holiday gatherings. A designated driver is someone who has had nothing to drink, not the person who’s had the least to drink. -If you don’t have a designated driver and you’ve been drinking, you’re urged to call a sober friend or a family member for a ride. -If there’s no one available to pick you up, consider calling a taxi or using public transportation. -If you’ve been drinking and don’t have a ride home, there’s always the option to get a hotel room or to stay at a friend’s house. -If you spot a drunk driver on our roadways, officials ask you to contact law enforcement with the vehicle’s information and the location and direction it’s heading. -If you see someone who has been drinking and is about to drive, take their car keys away from them and assist them in finding a safe way home. You’re intervention could help to save a life. Yes, the holiday season is the perfect time for gathering with friends and family, but there’s never a good time to get behind the wheel after drinking. Have a happy holiday season and please be responsible. The drunk-driving car accident lawyers at the Law Offices of Jeffrey S. Glassman, LLC work hard to get compensation for individuals and families who are victims of alcohol-related car accidents. If you or a family member has been injured in a car accident in Boston or elsewhere throughout Massachusetts, call 1-877-617-5333 for a free appointment to discuss your case.